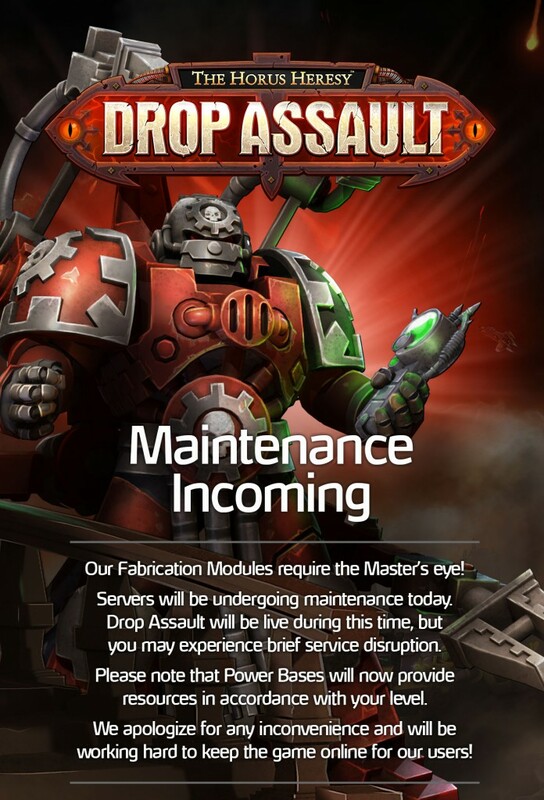 We’re undergoing server maintenance today. As a result, Power Bases will now provide resources in accordance with your level. Brief service disruptions are possible during this time. If you experience any problems, please don’t hesitate to let us know! 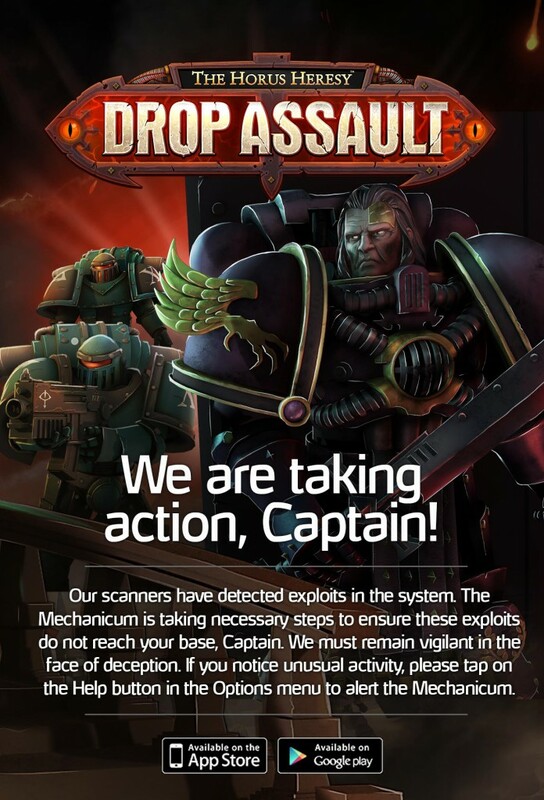 We’ve recently taken action against over 1400 accounts in The Horus Heresy: Drop Assault. These accounts were using various exploits to have an unfair advantage in the game. If you’ve noticed fraudulent accounts, cheating, or any other activity that uses exploits, please let us know by tapping on the Help button in the Options menu of your game. Our Customer Support team is here to help and takes reports of cheating very seriously. Thank you.